Click the image to watch the celebration. 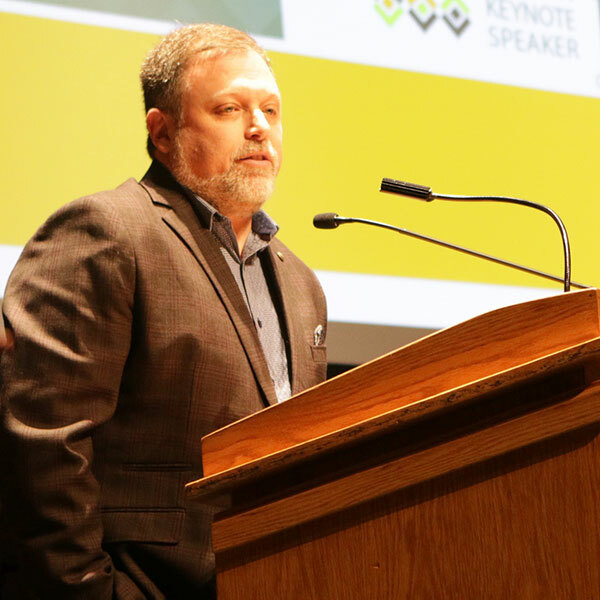 Tim Wise, an anti-racist author and educator, told a packed audience at Palm Beach State College’s 20th annual Dr. Martin Luther King, Jr. Celebration Thursday that he came to “tell the truth” about the noted civil rights leader. “When you come to commemorate Dr. King, the point is not to say things that will make people happy, to say things that make people comfortable, to say things to people that make them go out of here… as lighthearted as they were when they came in. 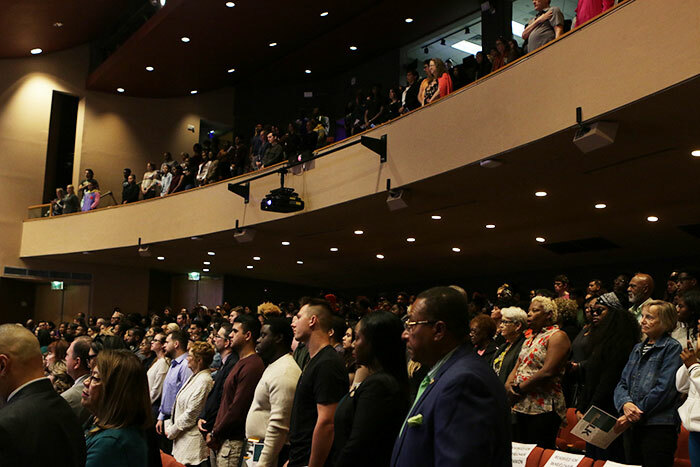 On a day like today, the important thing is to tell the truth,’’ he said, after stepping to the podium at the more than 700-seat Duncan Theatre on the Lake Worth campus. He said King was not a moderate or liberal. “He was a radical. He was a revolutionary who stood in the path of justice and righteousness and said that this country had…triple evils we had failed to acknowledge let alone address and he named them: racism, poverty and materialism and then militarism,” Wise said. Wise questioned how far the nation has come in those areas since King’s death more than 50 years ago. Click the image to view more pictures in the Flickr album. Justin Kunzelman (Alumni), co-founder/CEO of Rebel Recovery, who has led the charge to drastically reform local policy affecting people who use drugs. Vera Rolle Farrington (Individual), who in 1995 co-founded the nonprofit organization Expanding and Preserving Our Cultural Heritage, Inc. to preserve and share the black history of Delray Beach through preservation and education. Joseph Morel (Student), a former Palm Beach State College student trustee, who began his journey of advocating for Cystic Fibrosis by stand-up paddling 90 nautical miles from Bimini in the Bahamas to West Palm Beach. Dr. Irving Berkowitz (Faculty/Staff), dean of academic affairs at the PBSC Lake Worth campus and the son of Holocaust survivors, who has dedicated over 42 years to academia, advocating for underserved groups, improving race relations, raising awareness of social injustice and championing diversity. Dress for Success Palm Beaches (Organization), a nonprofit that provides clothing as well as coaching and development tools to help women find the job that’s right for them, grow and progress in that position, and ultimately achieve economic independence. Watch the celebration. Visit the Flickr album to see more photos.